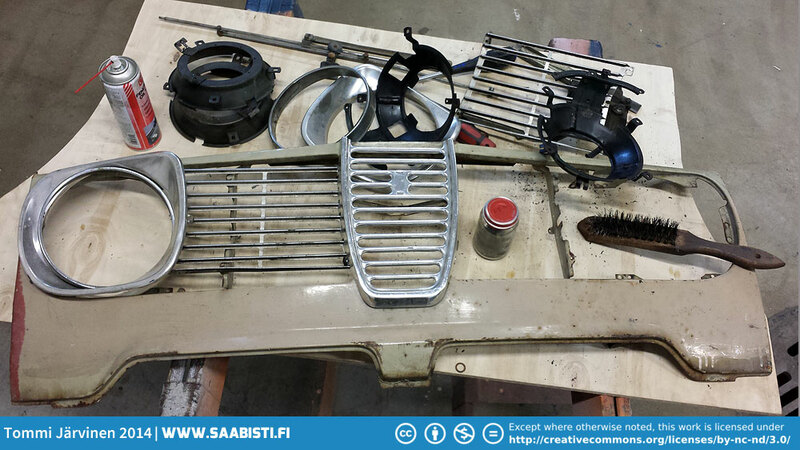 A used set of Saab Sport&Rally grille parts. 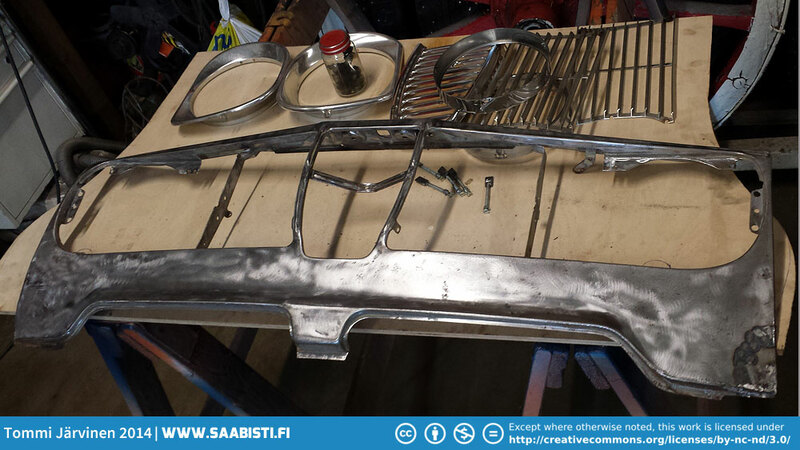 The front piece needed a little welding and cleaning for paint. 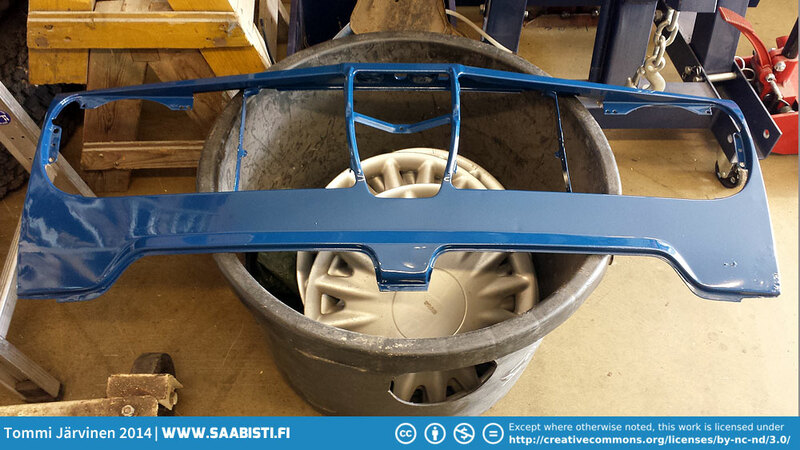 All the pieces painted and ready to install. 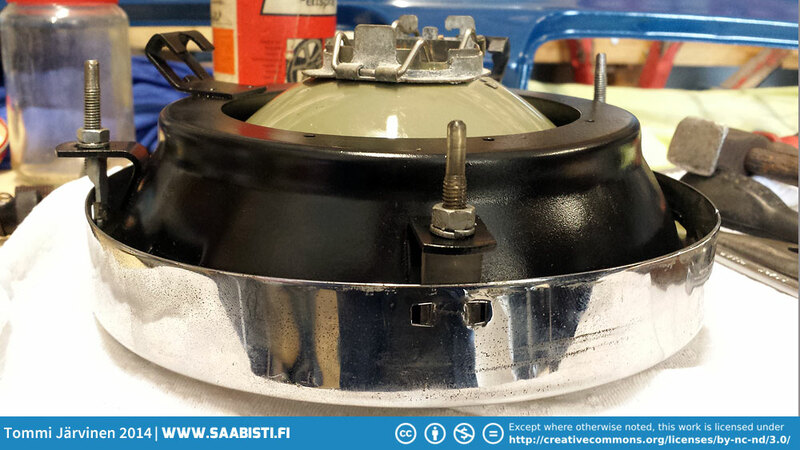 Test fitting the headlight bucket assembly. 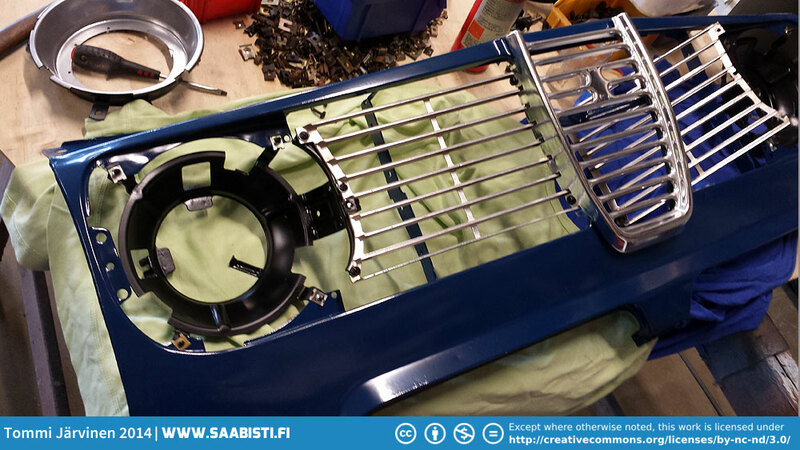 Bucket assembly installed with grille pieces. 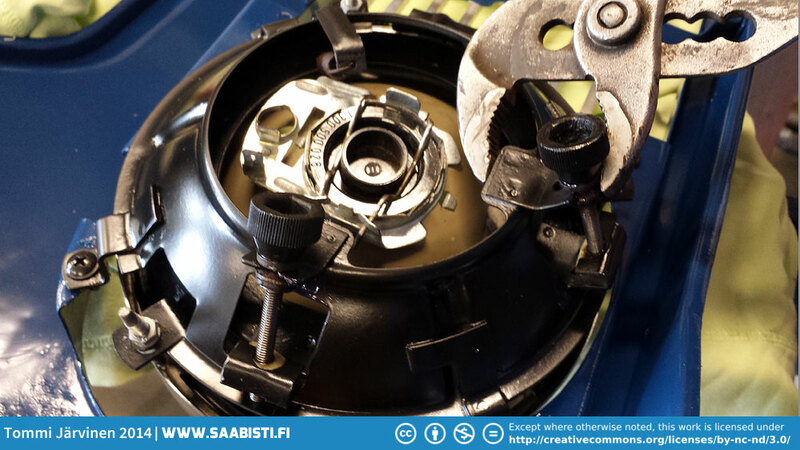 The headlight mounting rings originally have plastic fixings that break easily. 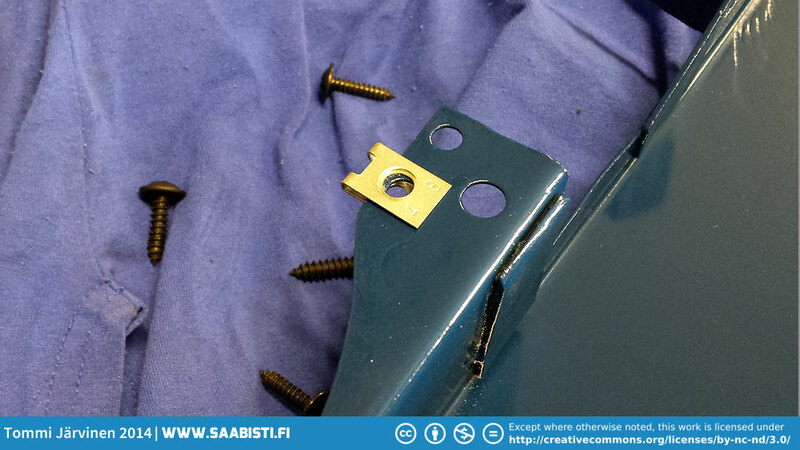 New fixings being made out of a few screws and flat piece of steel. 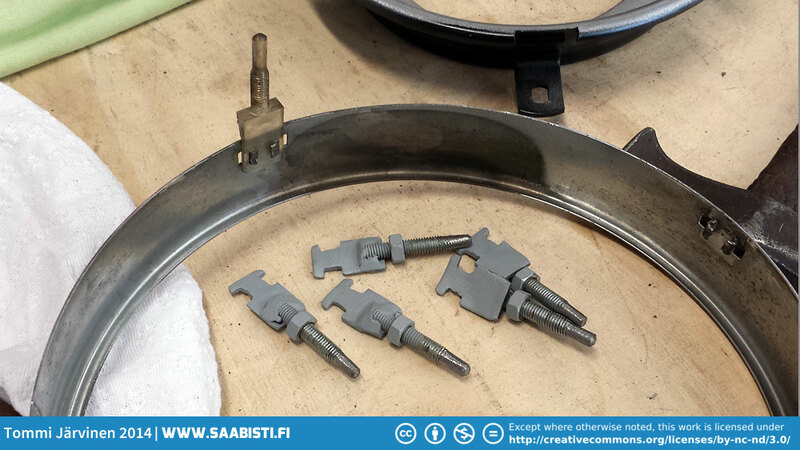 Headlight mounting ring with one surviving original fixing. Completed new fixings on the table. 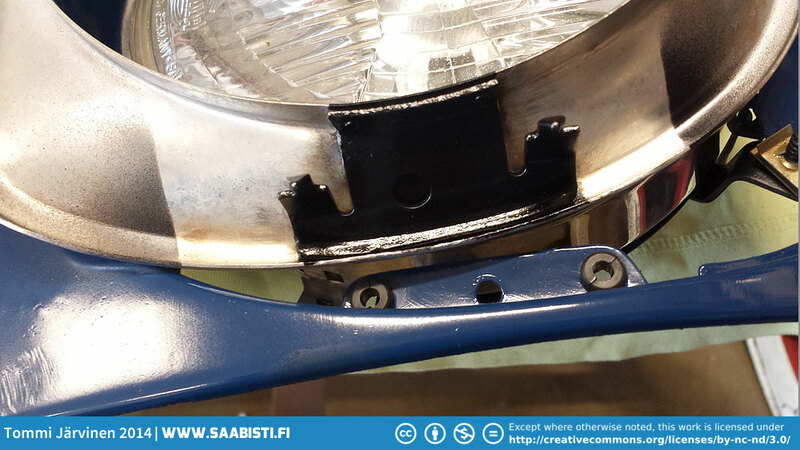 Mounting ring and headlight fixed to the bucket. 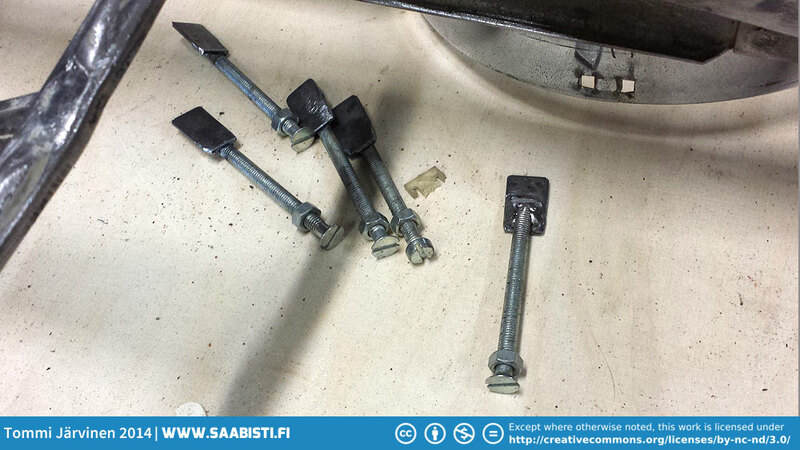 Mounting rubbers for the headlight bezels. 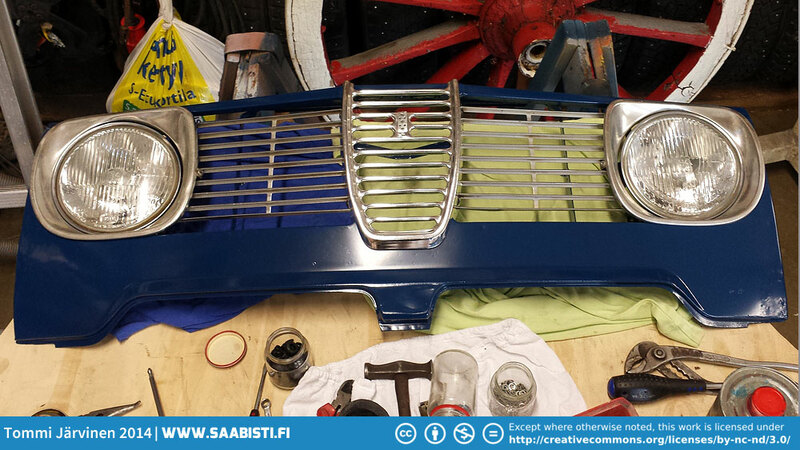 One Saab Sport&Rally grille – restored. 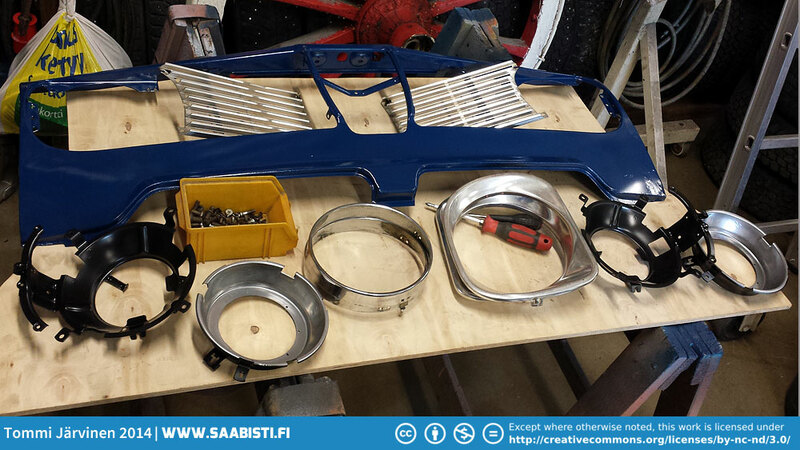 Next PostSaab 96 V4 Rally – engine build part 1. Tommi, Another new type of grille that I have not seen before. Very nice restoration I might add. 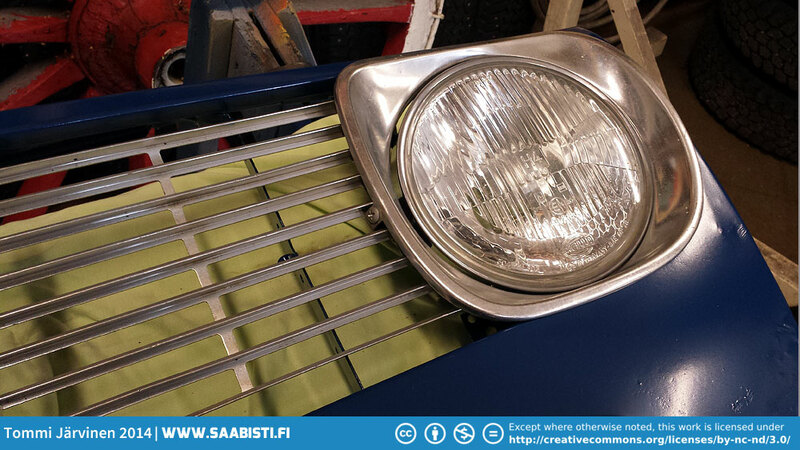 I will send a photo of the my grille showing the Saab airplane logo for the driving lights and the turn signals. Just something a little different. I’ll send it to you in a email. As always, looking forward to your next post. I certainly could need your help. 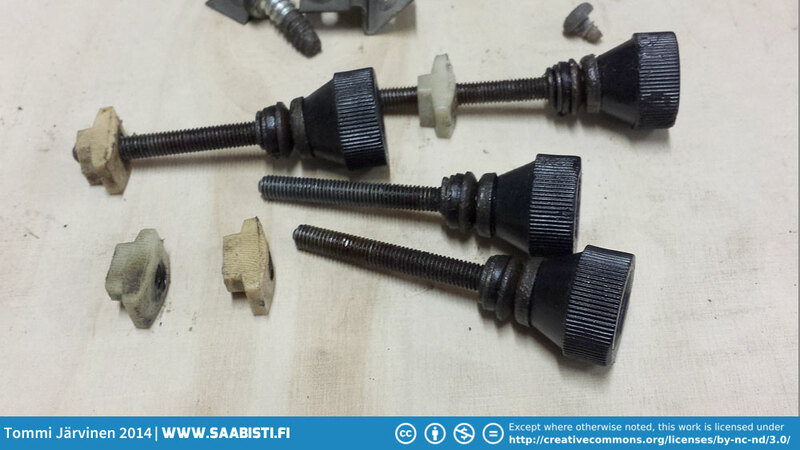 – I am looking for either a Solex F40BI single carburettor or only the modified throttlebody, that came with the longnose MY 1965. There are lots of “F” carburettors to get, but the modified ones seem to be rare. 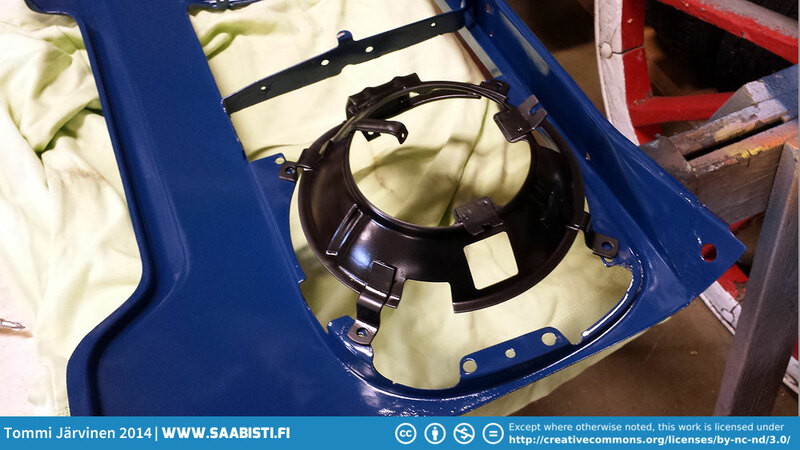 Even the gasket for this modified thottlebody is special and has the part number 78 47 858. If you have a Solex F40BI (modified 1965), you really would do me a big favour, if you would take some pictures of the modified throttlebody seen from above with/and/or without the special gasket. If lady Fortuna smiles to me, please mail the Pictures to georgsailor99atgmaildotcom. I don’t believe I have any 1965 carburetors left, but I’ll check as soon as I can.